In a large bowl, whisk together the dry ingredients – the coconut flour, cinnamon, nutmeg, salt, and baking soda. 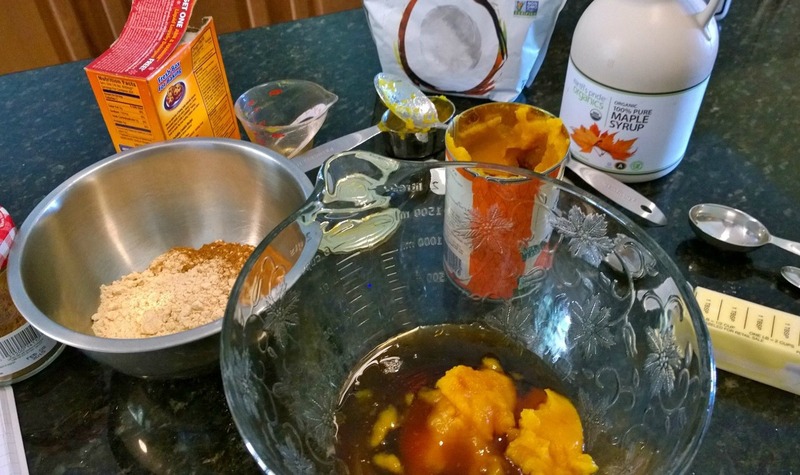 Then in a separate bowl, whisk together the wet ingredients – the pumpkin puree, almond milk, honey, eggs, oil, and vanilla. Add the dry ingredients to the wet ingredients. Stir together until just combined. Heat a griddle or non-stick skillet to medium heat. Coat pan with coconut oil. 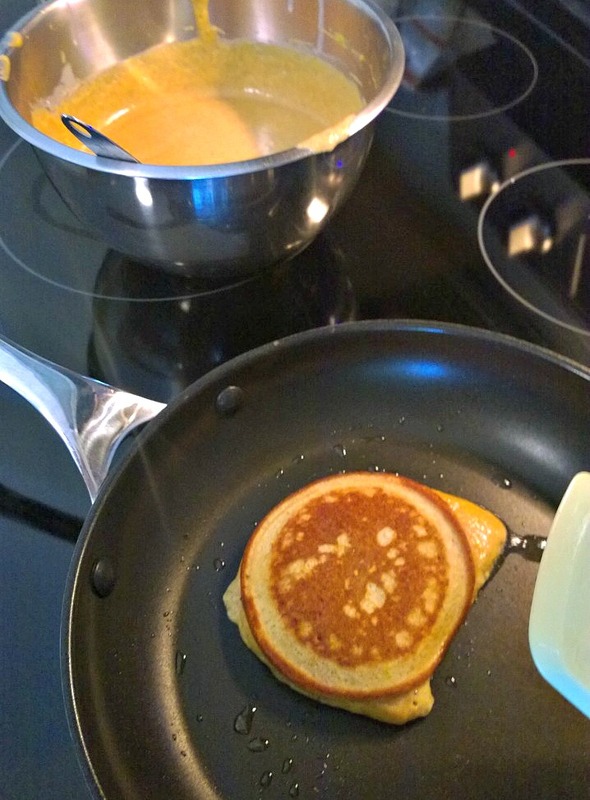 Pour about 1/4 cup of batter onto the skillet. Cook for 2-4 minutes until the bottom is cooked through, and then flip. Cook for another 2-4 minutes until lightly browned. Repeat with remaining batter. Serve warm and enjoy! Pinterest has saved the day several times in my kitchen. I had some produce that was passed its prime in my fridge, along with ground turkey that had to be used; and I even had a can of fire roasted tomatoes that I didn’t know why I purchased in the first place. I love how forgotten ingredients can become something so satisfying! Thanks for reading, enjoy! Add ghee or cooking fat of your choice to a 5 quart soup pot over medium/high heat. Saute the onions for about 3-5 minutes, then add the bell peppers and cook for another 3 minutes. 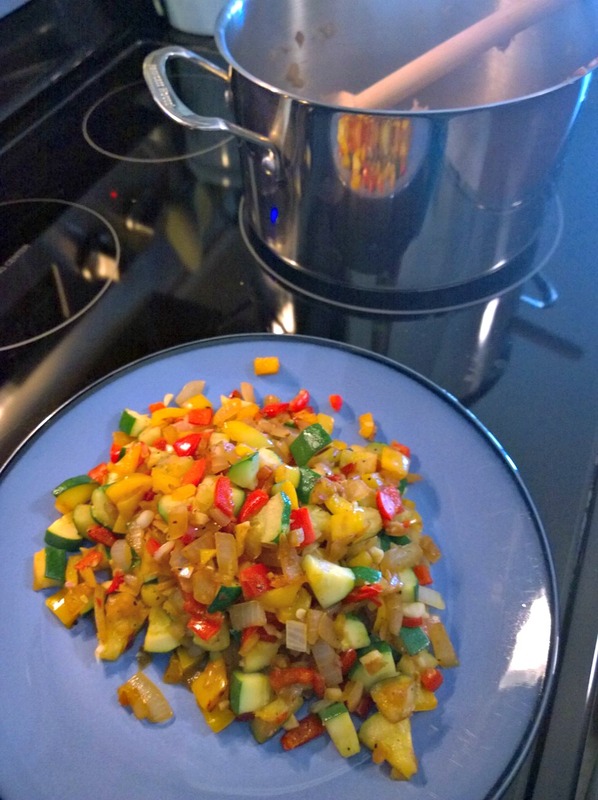 Then add the minced garlic and chopped zucchini. Continue cooking for about 3 more minutes. Set the cooked veggies aside. 2. Add more fat to the pan and brown the turkey over medium heat, stirring to break up. Season lightly with salt and pepper. Once the meat is cooked through, add the veggies back into the pot and pour the tomatoes, water and seasoning over all. Stir to combine and bring to a boil. Turn down the heat to a simmer and cook for about 30 more minutes. 3. Stir periodically while it is simmering. 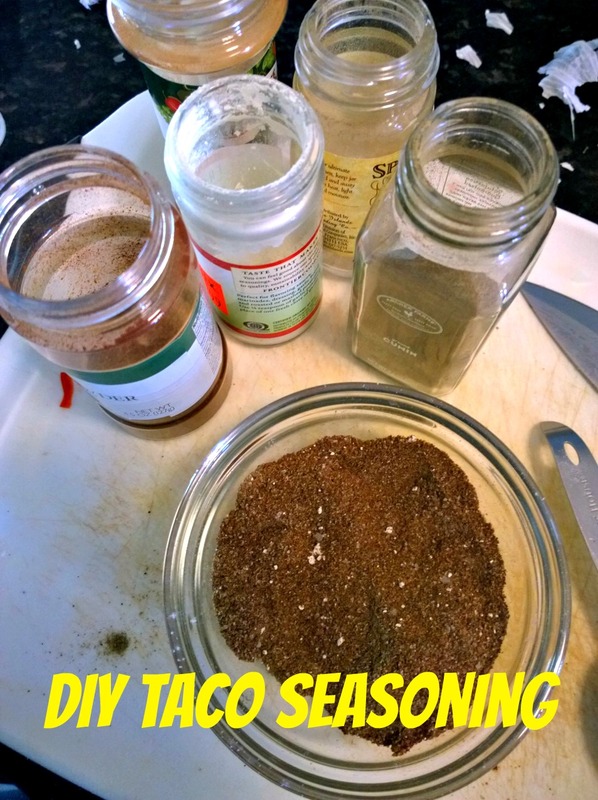 Taste and adjust seasoning if needed. 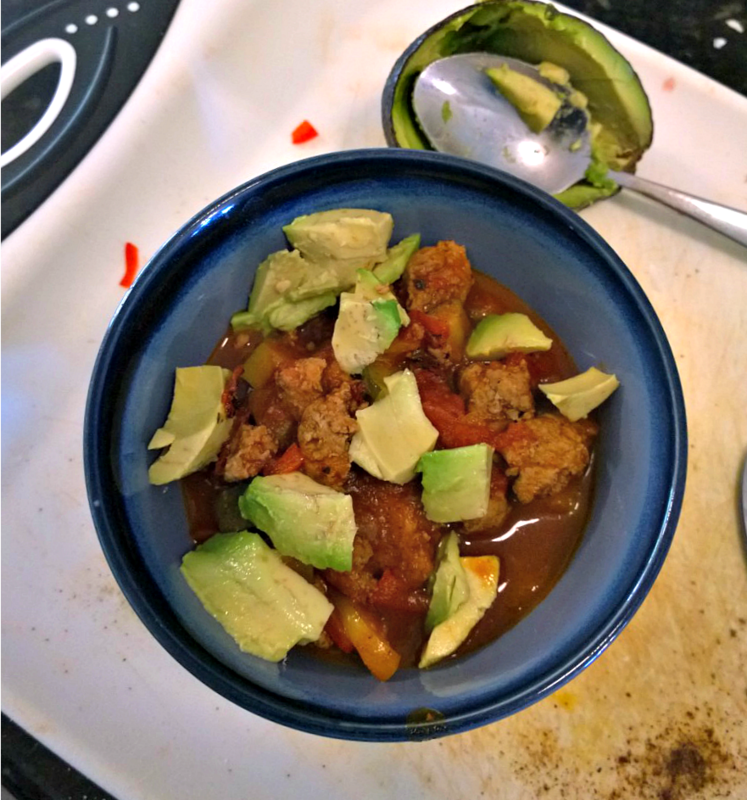 Serve with chili toppings of your choice – I added diced avocado! Mix all ingredients together thoroughly blended. Makes 1/2 cup. After making this, I learned – one: I love fish sauce, and two: more cabbage, please! I was worried about using both but this recipe just looked and sounded so good. I’m glad I didn’t let apprehension get the best of me, because this was so perfect! 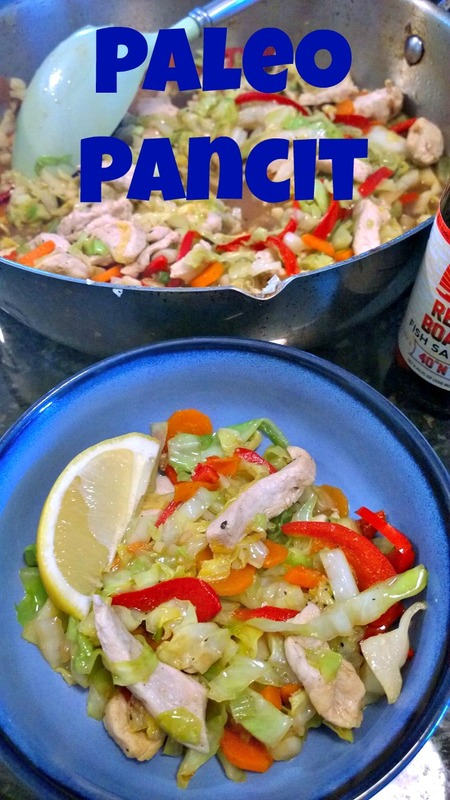 It was savory, sour and had just enough saltiness; and textures in each bite of this pancit, (which I had never tried or heard of before), that I am on the look out for more Asian recipes that might hit all those notes again. Thanks for reading, enjoy! In a large wok or skillet heat the coconut oil over medium to medium high heat. When the wok or pan is nice and hot, add the chicken, green onions and garlic and saute for about 6-7 minutes or until the meat is done all the way through but still tender. Remove the meat from the pan and set aside. Add the bell pepper and carrots to the wok or pan and cook for 3 minutes. Add in the cabbage and cook about 4 more minutes. Add the chicken back to the veggies and pour in the coconut aminos or soy sauce, chicken broth, and fish sauce. Season with lots of black pepper. Stir well and cook for another minute or two. Serve in bowls with a lemon wedge. This is amazing! 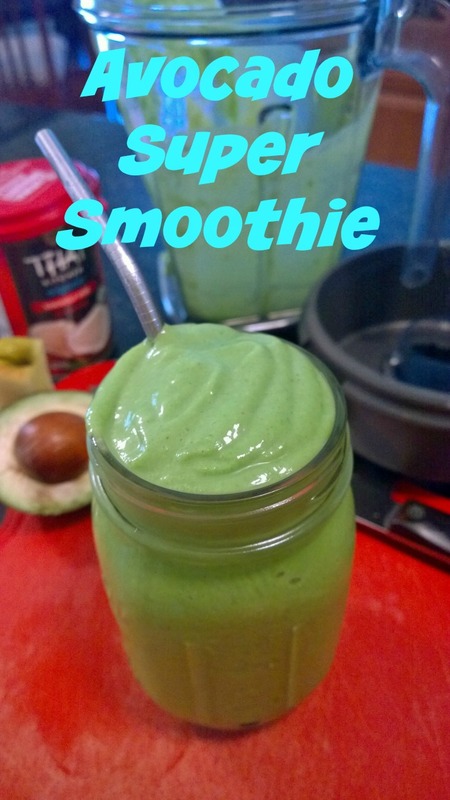 It’s thick and creamy without the dairy and even my kids couldn’t detect the “green” in this smoothie. Thanks for reading, enjoy! Place all your ingredients in a blender carafe – starting with the liquid and topping off with the heavier items. Process for about 30 seconds until well blended. Pour into a tall glass and enjoy! This was my first pumpkin spice latte ever, so I can’t compare it well to a coffee shop drink. What I can tell you is that this is like pumpkin pie in a cup! It’s also much cheaper and not full of empty calories and syrupy-goodness that is the typical coffee chain offering. Thanks for reading, enjoy! Combine all of the ingredients in a high-speed blender, and blend until smooth and creamy. Adjust flavor to taste, and serve warm. 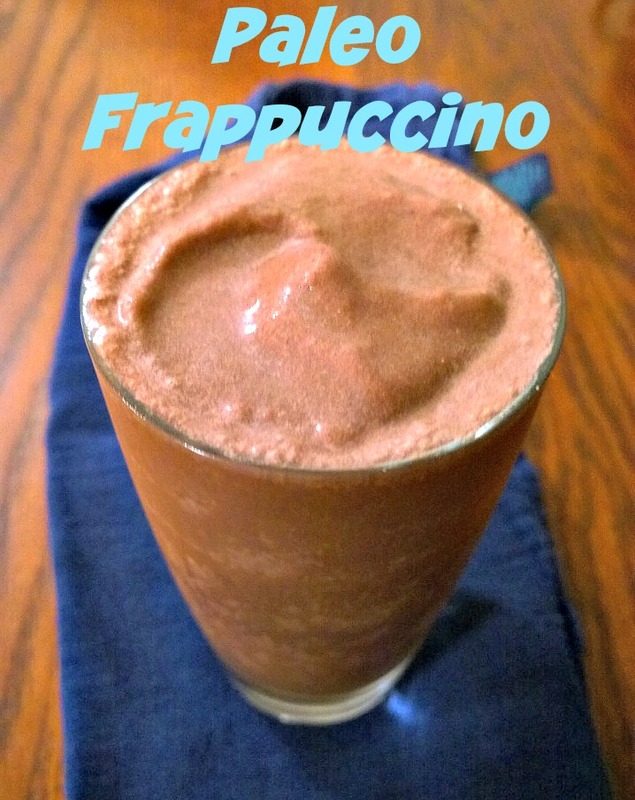 This blended coffee drink is so tasty, healthy and cheap! 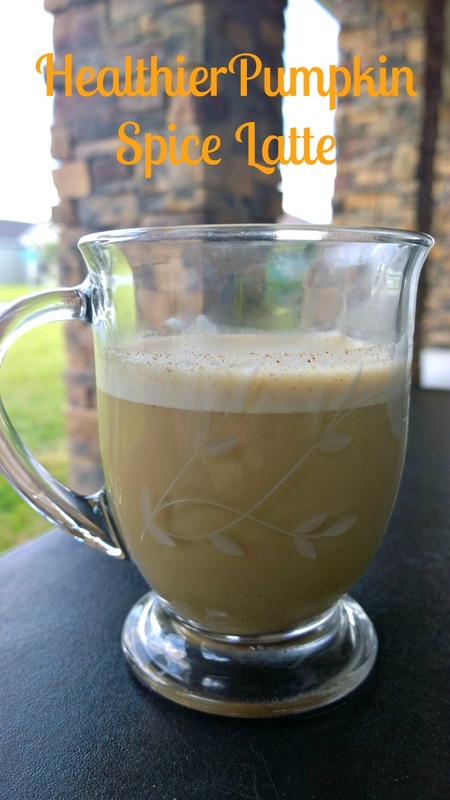 I modified the recipe slightly to suit my taste and I have made it about four times in the last week 😉 Thanks for reading, enjoy! 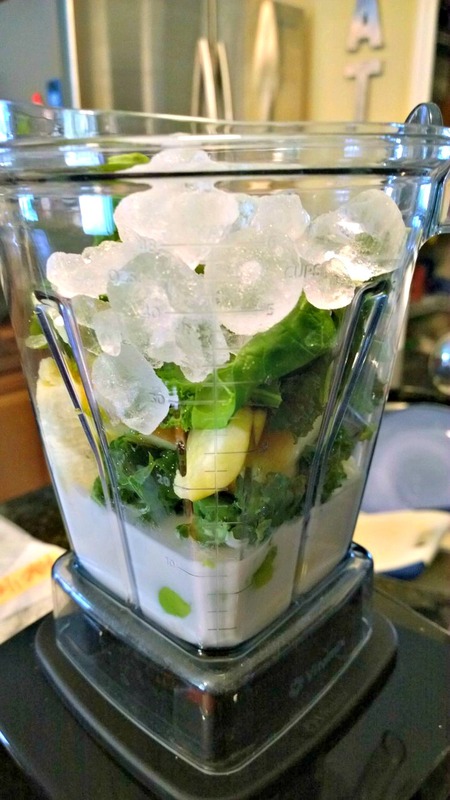 Add all ingredients to a high-speed blender and blend for 1 minute or until desired consistency is reached. 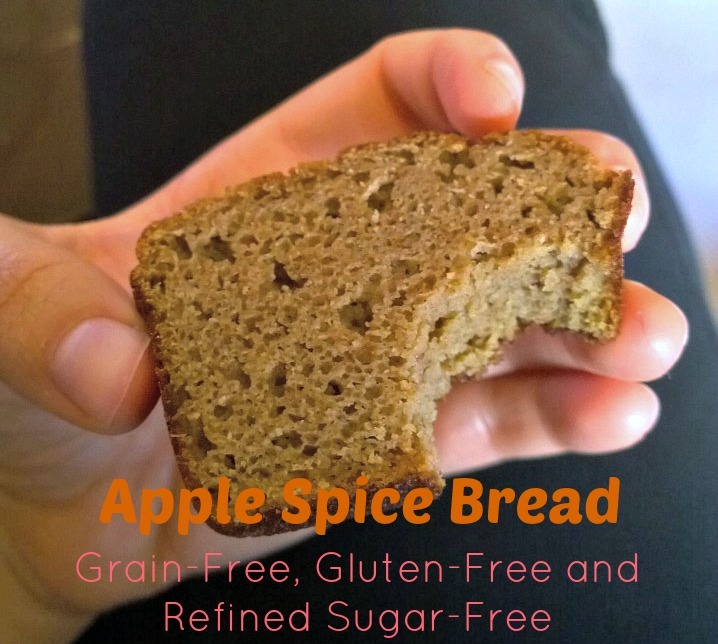 The apple spice bread I made two days ago is already gone… I did give my neighbor an entire loaf, so I’m not that much of a glutton 😉 As expected, the bread tasted much better the day after I made it, especially when I topped it with Kerrygold butter and popped it in the microwave! So good and none of the guilt or bloat. I love roast chicken! 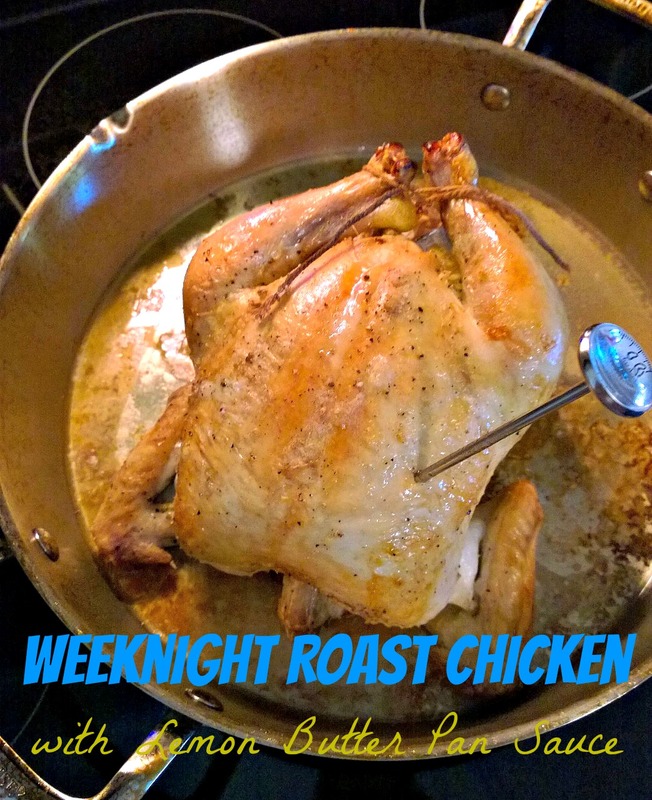 This was the most simply seasoned chicken I have ever made and also the quickest to roast. The pan sauce came together so easily while the finished bird was resting. 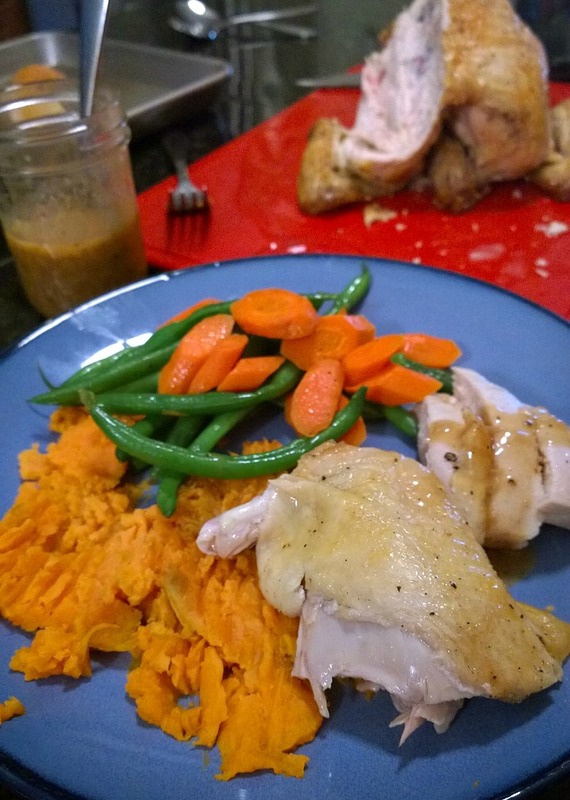 I loved every bit of this meal and I would gladly make it weekly if my family let me 😉 Instead of typing up all the recipe here, I’m posting a link to where I found it at Nom Nom Paleo (I love that name). Over there you’ll get to see step-by-step photos and extra tips and tricks. Thanks for reading, enjoy! Yum! This was my first attempt at grain-free, gluten-free, refined sugar-free baking… that’s a lot of “free”! 😉 I am so used to baking with flour that I was slightly apprehensive about how this recipe might turn out. I was relieved when this baked up beautifully light and soft. The kids and I, (well, mostly I), ate a whole loaf today. Instead of making one large loaf, I made three minis, cooled them completely, then wrapped them and stored them in the refrigerator. 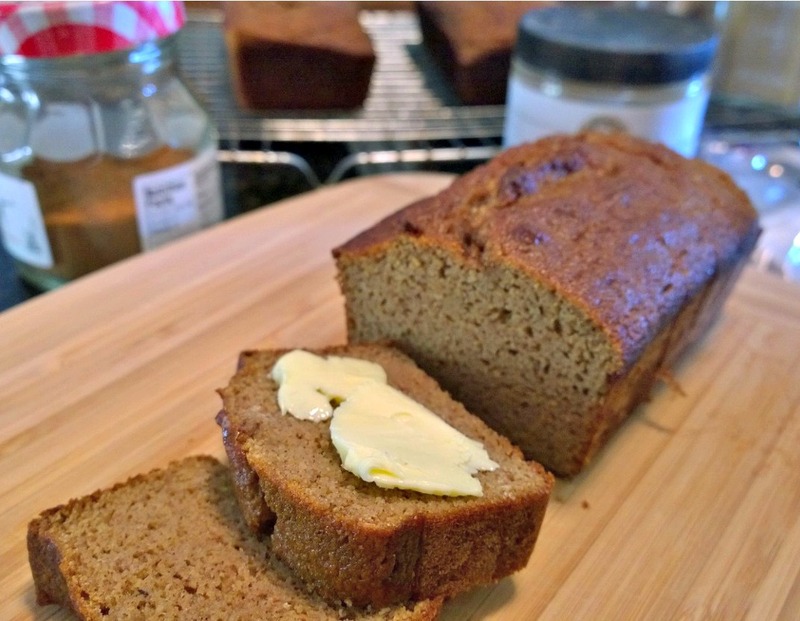 I know I’ll make this again and I’ll have fun trying out new coconut flour recipes soon. 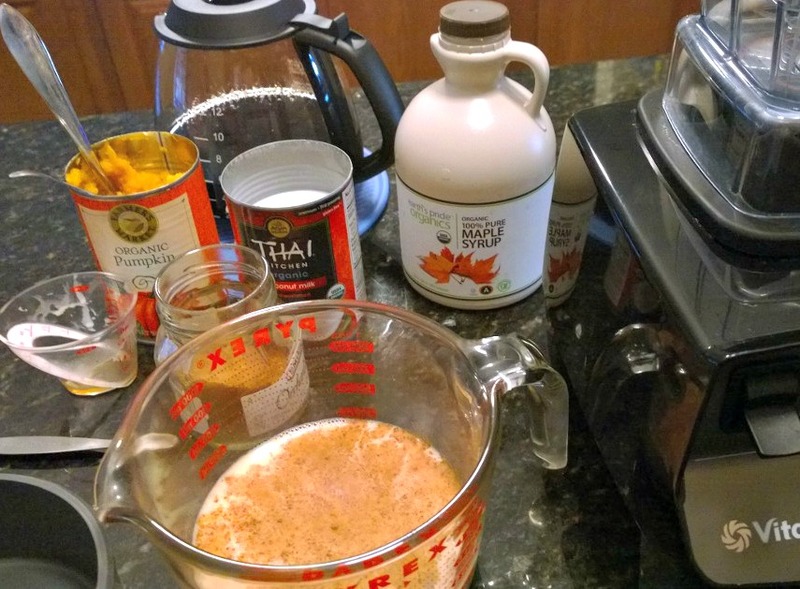 My next experiment will be testing this same recipe, but swapping the apple sauce for pumpkin puree. Thanks for reading, enjoy! 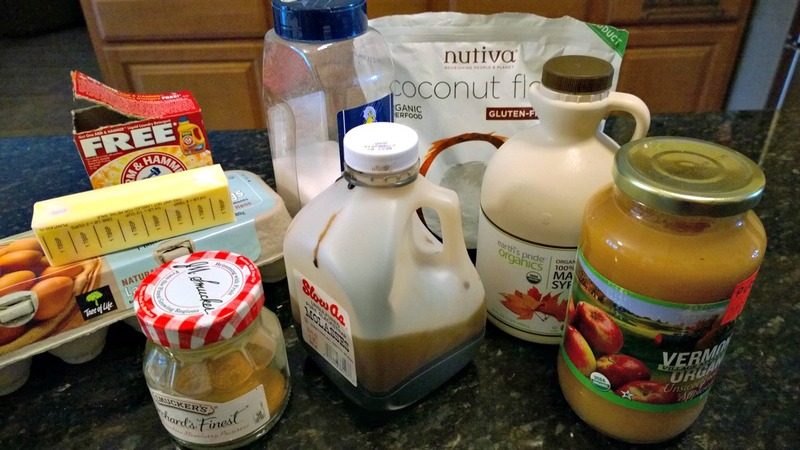 Ingredients, minus the vanilla extract. Preheat oven to 350. In a large bowl, combine dry ingredients. In a medium bowl, combine wet ingredients. Pour wet ingredients into dry and blend until evenly combined. Grease pan(s). 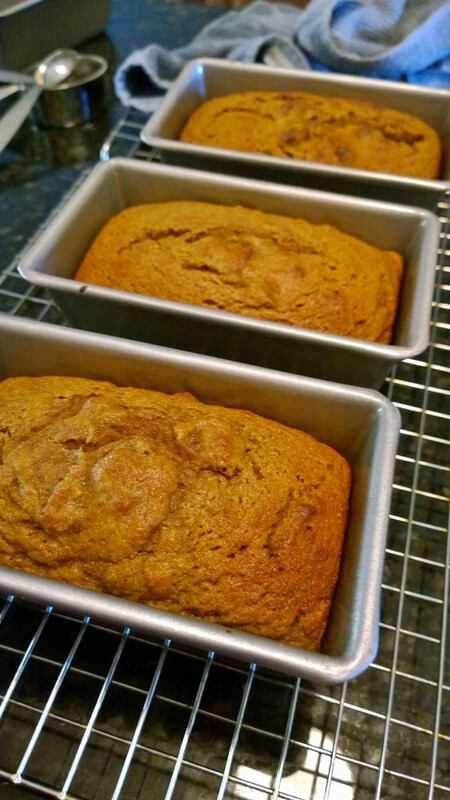 Pour batter into 3 mini loaf pans or 1 large glass loaf pan. Bake for 35-40 minutes in mini pans. Bake 65-70 minutes for 1 large loaf. Allow to cool completely. Store in fridge. 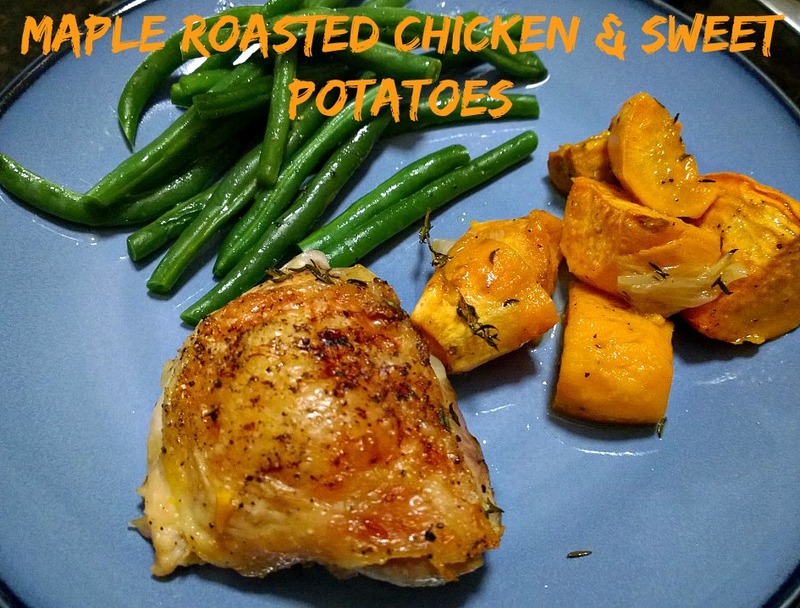 Quick Post: One of my favorite combinations is chicken and sweet potato – I practically live off of this pairing! This is one of the most simple and cheap dinners I have tried since I changed my eating habits, and it’s just so good. I love how crispy the skin becomes and I eat it unashamedly! 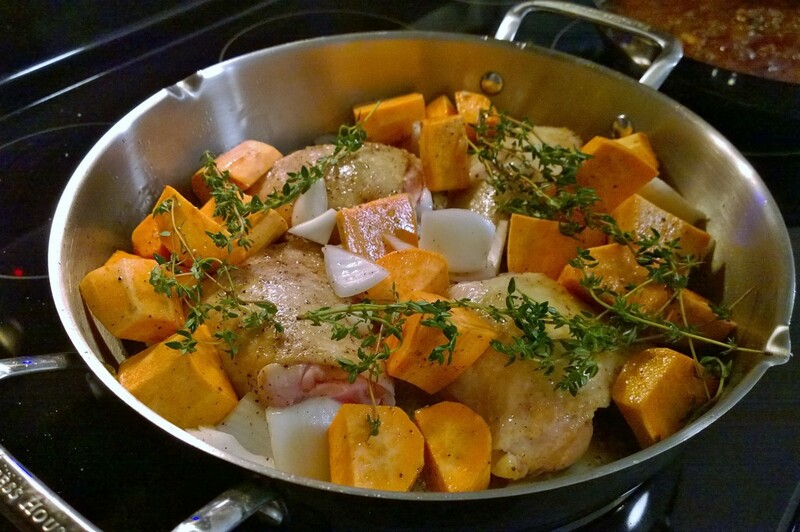 😉 Before I put the skillet in the oven, I browned up the skin in the pan on my stove – that’s optional, but I recommend it! Thanks for reading, enjoy! Preheat oven to 400 degrees. Begin by peeling sweet potatoes and chop them into one inch chunks. Chop the onions into a similar size and arrange the vegetables in the bottom of a baking dish. Pour in olive oil and maple syrup and season the chicken with salt and pepper. Toss to coat in the oil and maple syrup, and leave all the chicken and vegetables in one even layer. Top with thyme sprigs and bake for 1 hour uncovered, turning the chicken half way through cooking time.